Summer is here and the 99° F temps on the drive home from work today made sure I knew about it! 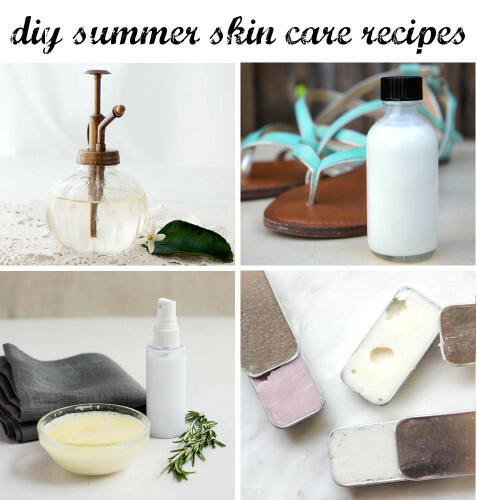 Not only does summer bring the heat, however, it can also bring new skin care needs. 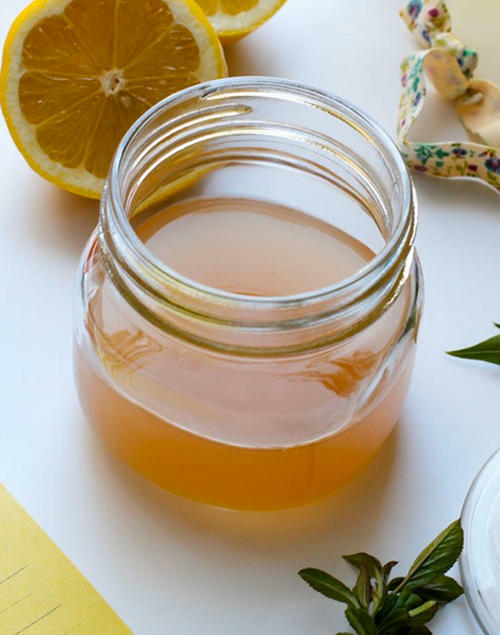 So here’s a collection of natural DIY summer skin care recipes to keep you smelling fresh, looking great, and safe from those harmful UV rays! Pictured clockwise from top left: DIY Lavender Lemonade Body Spray via Henry Happened, DIY Summer Sunblock via Simple Medicine, DIY Detangling Spray + Green Hair Mask via Henry Happened, and DIY Summer Lip Balm via Honest to Nod. 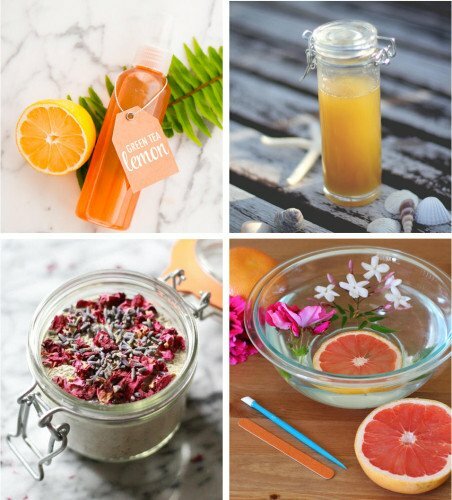 Clockwise from top left: Green Tea Face Mist Recipe for Dry, Sunburned Skin via The Chic Site, All Natural SPF Sun Oil Recipe via Free People, DIY Floral Beauty Mask via Gardenista, and Red Grapefruit & Honey Manicure Soak Recipe via Daily Squeeze. For even more beauty DIY’s and natural DIY summer skin care recipes be sure to follow my DIY Bath and Body Board on Pinterest! You can also find me on Facebook, Twitter, Instagram, Tumblr and Blog Lovin’. Stopping by from the Etsy Blog Team! 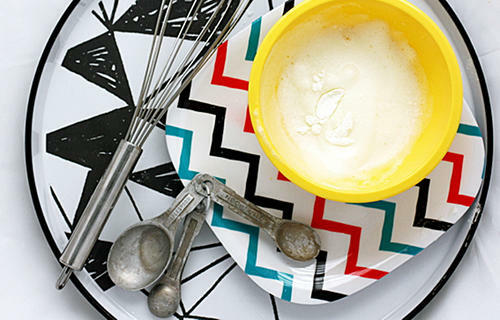 These are some great DIYs- I am going to have to try them out!